Taking a stroll down memory lane using all the best memories one can muster leaves people with a delightfully tingly and completed feeling deep down inside. Whether memories are about family, friends or special circumstances delicious foods always seem to play a major role in our happier moments. Holidays especially happily invite fantastic food fare. Back in the day holiday times were always long-awaited, treasured moments for kids from 1 to 92 because of all of the delicious treats and goodies taunting all of those tiny taste buds. Specifically, retro candy was and still does provide a plethora of sugary yumminess folks simply cannot resist. Ribbon candy, candy necklaces and Teaberry gum were all the rave. Perhaps retro candy represents a simpler time or simply a time of ravenously rewarding over-indulgence of colorful candies from chewy to tart. Whatever the reason back then, still stands true today. Young kids everywhere remain mini-magnets to the magnificent malted milk balls, sticky taffy and crystallized rock candy. The eating experience of these old-fashioned candy treats create new memories for today's kids while taking the adults right back to where they were when they chewed their first bubble gum cigar. Keeping wonderful memories alive is not only an enjoyable experience, but can also be a healing element within our own human nature. Retro candy gift baskets are the perfect solution to bringing back a little bit of the past and a lot of the joy. Imagine the thrill of surprise after coming across those irresistible little chews called Chiclets. There wasn't a family alive that didn't rely on the sheer entertainment of trying to chew only one piece. In most cases the entire box of gum rarely lasted a day. Retro candy baskets aren't simply basic, either. Retro candies from the 50's and 60's pop with color, nostalgia and an overwhelming invitation to be opened and eaten. 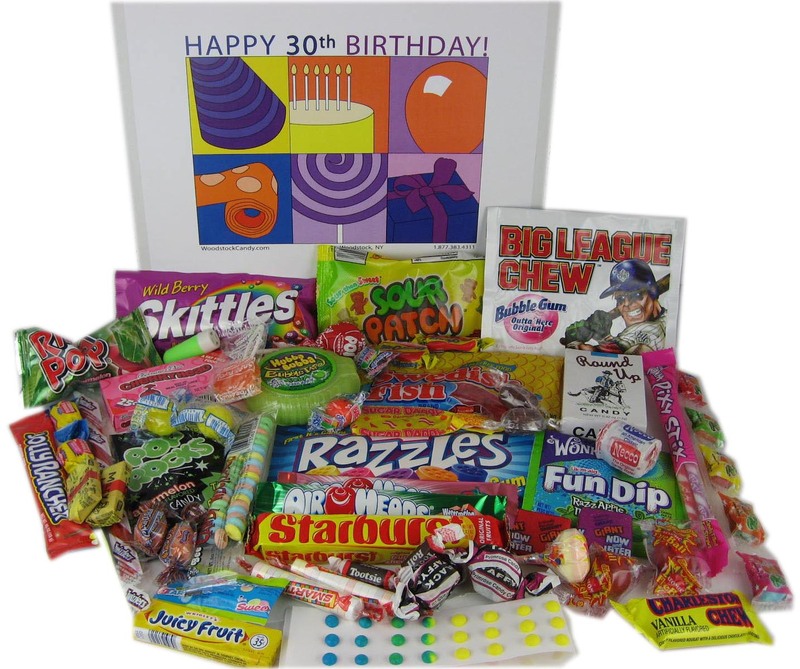 From root beer barrels to Chick-O-Stix to tasty and chewable wax lips there isn't a baby boomer or modern-day child who can resist the sheer amusement, gratification and all the fun retro candy gift baskets endlessly provide. Keep those great memories alive and make a few new ones for you and your family. Toss in a few Lifesavers, Pixy Stix and Necco Wafers, and watch your family's eyes light up the room. After all, we never can have too many wonderful memories to last a life time.